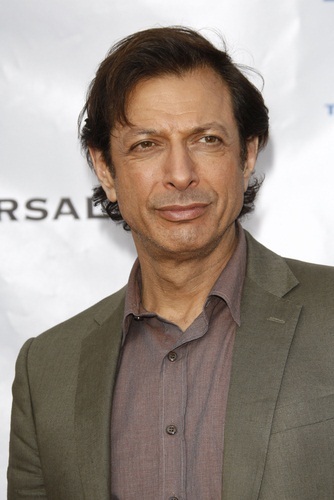 Place of Birth: West Homestead, Pennsylvania, U.S.
Jeff Goldblum is an American actor. He starred in the films The Fly, Jurassic Park, and Independence Day, among many others. Jeff is the son of Shirley Jane (Temeles) and Harold L. Goldblum. Jeff’s family is Jewish, and emigrated from Russia, Belarus, Ukraine, and Austria. He was Bar Mitzvah in an Orthodox synagogue in Pittsburgh. In 2012, an article stated that Jeff is a follower of “Eastern religions”. Jeff is married to Canadian dancer, aerialist, and contortionist Emilie Livingston, with whom he has two children. Jeff’s paternal grandfather was Joseph/Josef Povartzik (the son of Zelik Povartzik). Joseph was a Jewish emigrant, from Tinkowitz, Minsk. Jeff’s paternal grandmother was Lillian “Lillie” M. Leventon (the daughter of Harry Leventon and Sarah Lewis Hytovitz). Lillian was born in Pennsylvania, to Russian Jewish parents. Jeff’s maternal grandfather was Samuel Louis Temeles (the son of Abraham Temeles and Beille/Bella/Beila Shapiro). Samuel was a Jewish emigrant, from Zolochiv, now in Ukraine. Jeff’s maternal grandmother was Anna/Ann G. Katz. Anna was born in Pennsylvania, to Austrian Jewish parents. Ashkenazi Jewish? Are you telling me that he has Eastern European roots? Try Mizrahi or Sephardic Jewish. Ashkenazi Jews descend from Jewish communities who settled in Eastern and Central Europe a few centuries ago. Before that, these communities lived in different Mediterranean countries (especially Italy; they just had to cross the Alps to get to Central Europe), and before that, they lived in other countries, and so on. You know the whole Jewish diaspora thing. Sephardic Jews: David Mazouz, David Guetta, André Azoulay (advisor of King of Morrocco), Michel Boujenah, Alain Chabat, Agnès Jaoui, Avi Mograbi, the list is too long, I’m gonna stop here. Though he is Mizrahi and not Sephardic, I could add Bob Yari to this list. Now, Ashkenazi Jews: Ilana Glazer, Jenny Slate, Israel Finkelstein, Abraham Reles, Aly Raismann, Gabor Maté, Michaela Watkins, again the list is too long.